Weekly Horoscopes for each Sign are listed below. This week begins with a Full Moon in Pisces on Monday evening. You can read much more about that in our Full Moon in Pisces horoscope here. Once a Full Moon reaches fruition, it then begins to recede. In astrology this is reflected in our lives. After the climax, comes rest, retreat and integration of the experience. You can consider the cycle like a wave that ascends towards the Full Moon, then once it peaks, it descends towards the New Moon. This week starts off that period where we are slowly moving towards the New Moon in Virgo a couple of weeks. It is a time of integration. If, on Monday, you feel any tension, anger, mixed feelings, as the energy builds towards the Full Moon, those feelings of excess energy are actually teachers and tools that show you how you are reacting to your experiences and the people in your life. The lesson will teach you the power of compassion to change your energy and focus and how to move your energy towards more creative endeavors. Pisces is a sign of compassion which clears away the more judgmental, analytical energy that has been a part of our lives over the past couple of weeks which came into focus starting with the New Moon in Virgo two weeks ago. You can read more about that New Moon here. Now we are in a new week. It’s time to integrate what we have learned and experienced building up to this Full Moon in Pisces so we embody it more fully in body, mind and spirit. As we enter into the week starting on Tuesday, Mercury takes on a more significant role in all of our lives. It is a time when conversations that wish to be fair and balanced may get challenged. The challenges could be uncomfortable, and get us to check in with our psychological selves more deeply. This is part of the integration spoken of above. The changes we make within ourselves are the ones that matter most. Speak kindly when possible, as your words can reach deep into the soul of another. The most truthful words can dig below the surface, but are necessary. The discovery of the truth can move you, even take your breath away. On Wednesday, Venus and Neptune are reflecting and integrating beauty of a higher echelon. The pleasure of architecture, art, natures designs and the cosmos are fascinating and amazing. Look for hidden symbolism that holds wisdom. Love is of a higher frequency. 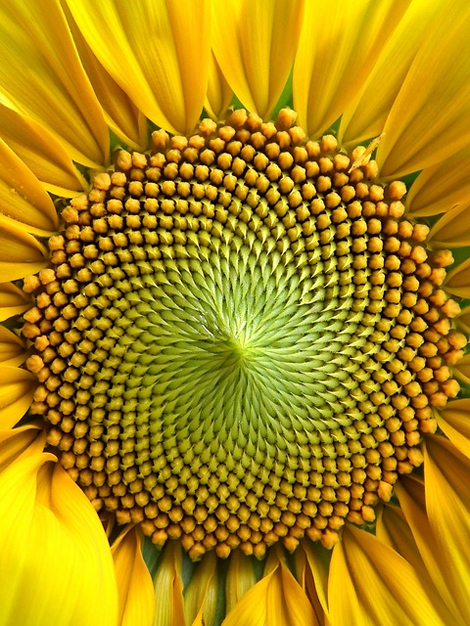 Consider the beauty of the golden mean, the fibonacci sequence, in the world. Reflect on how many people and animals sleep in the fetal position, just as we form in the womb, as a reflection of a higher design that permeates our very beings. Dreams will be fantastical. Mercury and Jupiter connect on Wednesday as well which brings us to see wisdom in people, in friends and in the laws of nature. It is also a good day to be a visionary and to have conversations with those who have a creative spirit and an abundant, joyous attitude. You could learn a lot by paying attention to those who demonstrate leadership qualities. It's a great time to practice Feng Shui with prosperity in mind. Speaking with friends and colleagues about commerce and trade could open doors and expand your perception of honest investments. You can set the stage for insights that help you balance how money flows to and from your wallet. Thursday the Sun and Saturn share a harmonious vibration helping us to gain greater self respect through the effort to move beyond our obstacles. Understanding what you need to do brings stability and maturity. Insights that make a difference can arise when we do the research. It's a good day to have structure and implement a plan. Guided meditations can help feel smarter and intuitive and on the right track. Feeling grounded will help you manifest real world progress. Friday is a good day to get swept away by dreams and romance. Ponder what is beautiful in the world and project that feeling of love towards everything around you. Let go of expectations and just be present with your feelings. They will move you. On Saturday Mercury reaches out to Uranus from across the sky. It’s a good day to look at life from a fresh perspective. A phrase, keyword, or conversation with someone may strike you by surprise that gives you new insight that completely changes the way you look at the balance of life. Be diplomatic in your response and more inspiring words may come tumbling forward. Also on Saturday, Mars leaves Scorpio to enter Sagittarius. It can certainly be a lively day of philosophical learning. You may be tempted to stand up for your beliefs. The meaning of life can lead you to push forward, instigating new paths worth your attention and dedication. At the end of the week, on Sunday, Venus in Virgo reaches out to Pluto in Capricorn in harmony. You may significantly change your thoughts on romance and love and the way you approach the subject. Putting plans in order to grow your bank balance is best when the concept of value and worth is evaluated and transformed. Being more closely connected to material world requires you to be grounded in body and mind. What you put your money towards is a vote for what you want in the world and in your life. Think about how you authentically bring pleasure and love into the world as a goal worthy of your time while here on earth. Aries: The week starts out with some deep feelings. It’s quite possible anger, or irritability is one of them, tipped off by little things you discover. Let it teach you how to become more caring and compassionate as you integrate the wisdom your feelings can reveal. As we move through the week try to have fun and have faith. Explore your beliefs and other cultures. If you get in a tiff about who is right or wrong regarding beliefs in religion or legal matters chalk it up to a learning experience with no hard feelings. Work on loving how you do the work you do and your career and goals will transform for the better. Taurus: You shouldn’t worry about relationships now. Just try to have fun and go with the flow. Although you may feel the need to have all the details about how you look and dress in perfect order, it’s really not that important. If you go on a date, go to the movies. Fantasy films can be delightfully entertaining. Dreaming about luxuries could be fun and is a good way to get your creative ideas dancing. A vision board is excellent now. Hanging out with creative people or in creative environments is great for you this week. Seek wisdom now. You’ll love the changes it can bring. Gemini: A balanced mind is so important for you. Your words need to be chosen wisely now as they have great impact and can reveal much more than you may first realize. It’s possible you could out someones secret if you are too boisterous and revealing in your talk. Instead focus on sharing and receiving good news. Being a supportive listener will earn you points with friends. Be open to new ideas and perspectives. When surprises arise you can weigh your options easier than others do now. Use this to your advantage. Cancer: What you say about others is a reflection of who you are. The wisdom of compassion implores you to honor yourself and others this week. Choose love as the prime mover of your thoughts and words now. You may get a message in your mailbox at home or at your office this week that surprises you and gives you a new idea. You will make the right decision only after you have weighed the pros and cons wisely. A walk in the woods and a bit of poetry is good for you this week. A nice drive this weekend will do you good to clear your mind. Know that you are connected to everyone and everything. It is a spiritual week for you. A higher order of beauty speaks to you. Leo: It’s a week of talking and thinking a lot. You bring your best forward when you’re learning from the best. New insights arise when you’re having conversations with those who have earned their wisdom. Some of you may desire independence this week too. If so, speak your mind, nicely, to make the space you need. It could shock some people if you’re very assertive, so try to be fair and explain yourself well so they’ll understand. Perhaps books will be your best friend this week. Authors renowned for their intelligence, balanced viewpoints and big ideas can refresh you. The bigger and bolder the ideas you tap into, the better. Look for messages that remind you of the meaning of life. Virgo: Self worth is important for you this week. Other people may not be giving you that message clearly. They may be off in their own world lost in their own distractions. Don’t worry about that. You don’t need others to validate you now. This is the work you ultimately do for yourself. Sure, it’s nice for others to make you feel good, and they can, but you shouldn’t expect it. It’s up to you to claim your esteem. Mixed messages from a significant other should be taken with a grain of salt. It’s in how you talk to yourself and actions you take that make the difference. Be bold and expressive and speak your truth from a balanced place within yourself and you’ll enjoy yourself and have a moment of clarity that enlightens you. It all comes down to loving yourself. Libra: People with bold personalities, even leadership qualities may surprise you. How you react and what you say has the power to change your relationship with others significantly. If you are confident and fair minded you’ll create a connection. Libra’s are known for being indecisive, but right now your quick verbal reactions can change everything. You have to decide if your first thought is the right one and if so is sharing your perspective the right thing to do? It could be tempting to jump right in with an instinctual response. Just make sure honesty and truth are with you. What you say reveals who you are and that can stay with you for a long time. Take some time to tap into your intuition and heart with meditation this week and it will help you better know how to present yourself. Scorpio: This week you shift gears as Mars exits your sign and enters Sagittarius. Your actions should start to feel more directed towards your concept and beliefs around money and self worth. Contemplating and talking about the spiritual connotations of money matters can give you a renewed drive to build a stronger security blanket. The conversation may not be easy as it requires you to get very honest about what you really do believe about yourself. How you direct your energy is a strong reflection of what you believe about yourself and what you value. People who value themselves are great to align yourself with now. You will probably find such people more attractive than usual. Strike up a conversation. Sagittarius: Mars enters your sign now. The added fire energy in your sign can give you a boost of ego and esteem. Exercise and flexing your muscle can be good for your overall sense of identity. It could be a time of increased libido as well. Through hard work, drive and willpower you will attain a sense of mastery over yourself that will develop your character. Honor your strength at this time and capture the essence of leadership. When you feel good and your humorous side is turned up you may get an ab workout simply by a belly laugh that comes right from your core. Enjoy the renewed energy and integrate it into all you do. Capricorn: Have that tough talk at work if you really feel you must. It could be difficult, and you may be hesitant but if you can find the right words it can lead to changes you want. There’s always a way to say what you really want to say. Keep diplomacy, honesty and fairness always in mind. People who know you are good worker, that you’re diligent and focused will back you up. You have the power to have a firm footing this week. Use your earthy power to stay grounded and share your worth. You may want to ask for a raise to signify that you know you’re worth it. Love the work you do. You can infuse pleasure into the most mundane routines. Aquarius: Conversations are a huge part of your week. New perspectives are bound to arise. Learning new words to improve your vocabulary gives you more options. Tap into your wisdom. Crack open those books and get down to business with the most intellectually stimulating concepts that tickle your fancy. You’ll feel rewarded. Listen to conversations more acutely as well to pick up key words. There is synchronicity in the air. Talks could kick off an all new tangent of thinking processes for you. It’s a good time to educate yourself. If you’re a writer keep your eyes open for a good publisher. Reading wise quotes by philosophers is so good for you now. Stay excited about the abundance of learning available. If you have any difficulty grasping new concepts now, write them down and review later. Pisces: As the week begins, the Full Moon is in your sign. You are likely to feel you’ve accomplished a greater understanding of how important your life really is. It can be a pivotal moment. Lovely, smart people are intriguing now. Whether they dress sharp or exude attractive qualities in their quirky behaviors it reaches your heart. Roles people play in their daily routine may have you dreaming. You’ve got a compassionate soul, which this Full Moon in your sign certainly reinforces, helping you to see beauty in all the details. Spend some time in nature this week. It will help ground you. Honest conversations can help you attract a greater sense of self worth and surprise you with new, prosperous ideas.